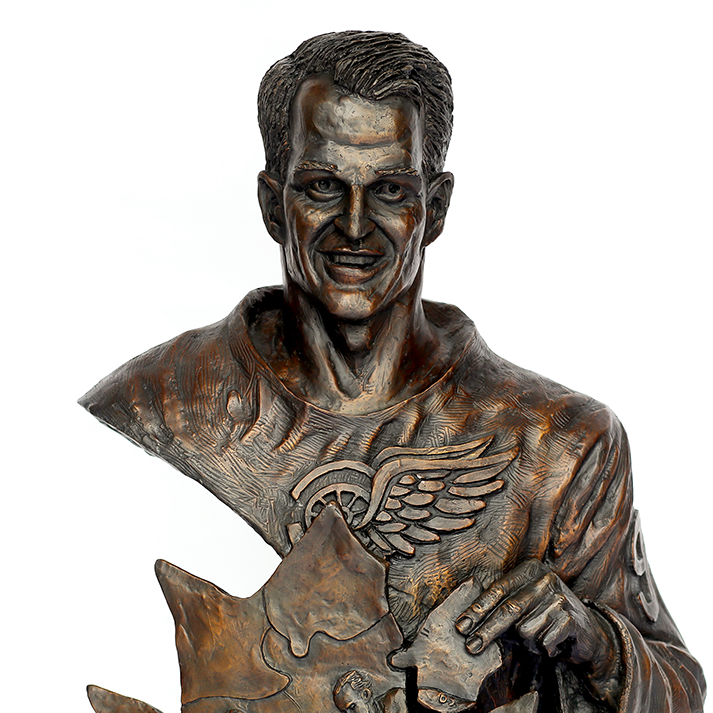 The sculpture was commissioned for the Gordie Howe Center for Alzheimer’s Research and Education Society. The significance of the Canadian Maple Leaf that is depicted in puzzle pieces is that it is symbolic of the timeline and memories that make up his life. He (and all Alzheimer patients) struggle to reassemble/remember their memories due to the disease. Some with Alzheimer’s might describe it as having missing puzzle pieces in their minds. 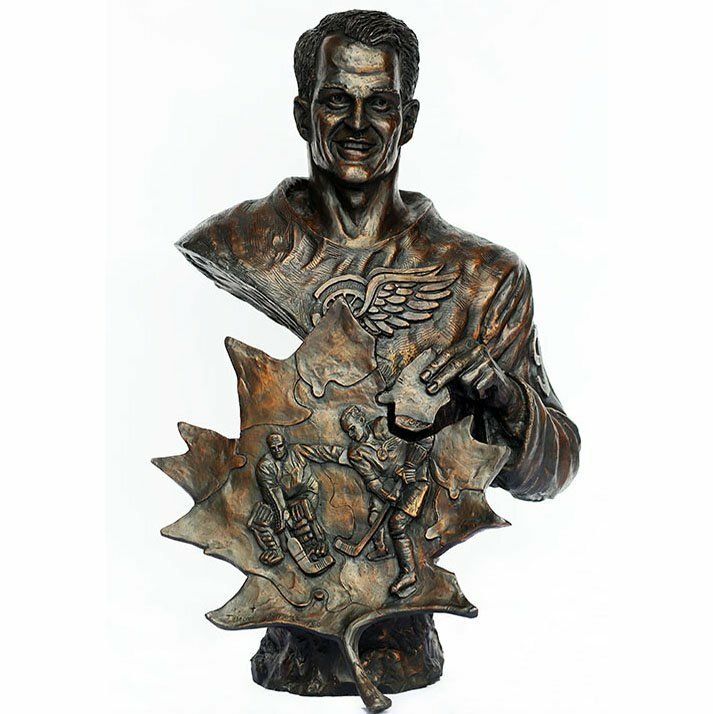 The hopeful aspect of the sculpture is that Gordie is shown as having found all the pieces. In the act of putting the last one in place the sculpture suggests that a cure for the disease will be found.